Aqua Monitor is a water sampler for use in a variety of deployment scenarios. The device enables the collection of up to fifty discrete water samples for post recovery laboratory analysis. The instrument may be programmed for autonomous time series sampling or for operation in "slave" mode within an integrated system. Applications include sampling for nutrients, phytoplankton, salinity, suspended-load, tracers and contaminants. 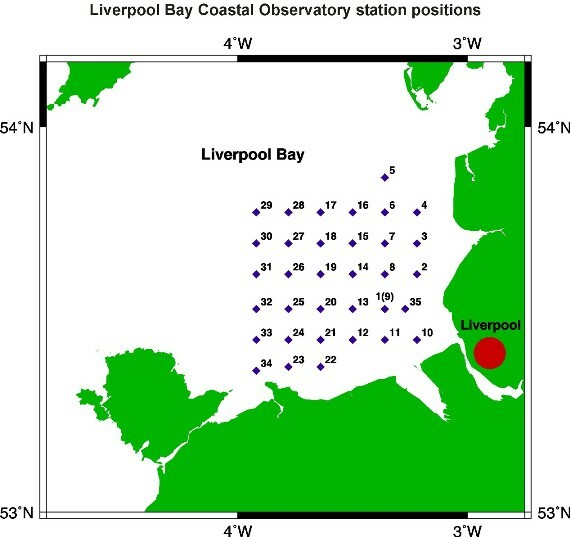 The mooring was deployed in collaboration between Cefas and POL Liverpool Bay Coastal Observatory. This rig was deployed as part of the Liverpool Bay Coastal Observatory during R.V. Prince Madog cruise PD20_06. Recovery of the rig took place during R.V. Prince Madog cruise PD22_06. Weather conditions were excellent throughout this cruise. This rig is a single line mooring, comprising a surface Cefas SmartBuoy along with POL instrumentation attached at depth on the mooring line. The single point mooring was mainly composed of 0.5 inch long link chain and marked at the surface by a 1.8 m diameter toroid (the Cefas SmartBuoy) and anchored by a half tonne clump of scrap chain. The Cefas SmartBuoy contains a suite of instruments mounted just below the surface.